Known Relatives: Tananda (Sister), Unnamed parents. Height: 6’8”	Weight: 287 lbs. Eyes: Red	Hair: Brown and all over. Like with most of the secondary characters in the MYTH books, Chumley’s past is left undetailed. The books center on Aahz and Skeeve, after all. He’s Tananda’s brother, has been a friend of Aahz for many years and has had his fair share of adventures. When he is working, he usually puts on an act and pretends to be a violent, stupid oaf named “Big Crunch.” “Big Crunch” is not above breaking an arm (or leg, or head) to get what he wants. Chumley looks like… well… a Troll. He’s big, hairy, and scary. He doesn’t seem to wear any clothes. Chumley, as himself, is very much like a very proper, if sometimes baudy, English gentleman. He gets along with everybody in MYTH, Inc., is very friendly and is often the one the others go to for advice. In his “Big Crunch” act, he pretends to be violent and stupid. “Big Crunch” has never uttered a word over one syllable and makes the Savage Hulk look like a college professor. Strange Appearance (in most dimensions). 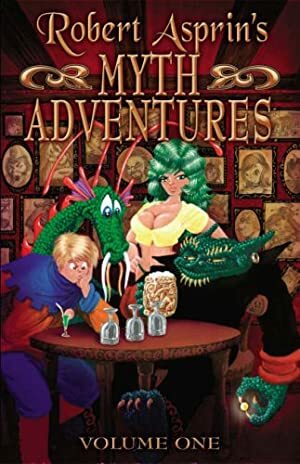 Source of Character: The “Myth Adventures” series of books by Robert Lynn Asprin.